MacAndSave is categorically an adware that is referred by many computer users as pesky and annoying add-on. First and foremost, this program will get inside PC and Mac systems unknown to user. It comes uninvited with a program you have intentionally downloaded. In other terms, bundling MacAndSave adware to free program is the trick being used by adware authors. Although, the adware doesn’t live by this technique alone as it may use other ways like spreading links to social media sites and spam emails. Most of the victims that have acquired MacAndSave are those careless Internet users. The only difference is this adware focuses more on Mac users. However, they are not the only one need to be aware of MacAndSave, because the adware also affects PC users as well. If MacAndSave adware has entered the computer, instantly you will notice changes on the browser. There are strange things happening while you surf online shopping sites. MacAndSave ads will appear containing a number of coupons that are relevant to your interest. Clicking on this number will expand the offer showing various links, coupons, discounts, and savings for a related product. It appears that MacAndSave is worthy of being on the browser saving you time looking for online discounts. However, it is reported that adware authors are utilizing this service to direct web browsers to risky web sites. This leads to infection of adware once site is visited. 1. Locate the add-on or extension that is relevant to the adware i.e. MacAndSave, SearchAssist. To do this, please follow the procedure depending on affected browser. 2. Once you have located MacAndSave, click on Remove or Uninstall, to get rid of it. If you cannot find the specified file, please look for any unfamiliar or suspicious entries. It may be the one causing the MacAndSave to be present on your Mac. Arranging all items to see the most latest ones may also help you identify recently installed unfamiliar files. Please press Option + Command + 4 on your keyboard to arrange the application list in chronological order. 4. You may now delete or remove locked files that belongs to MacAndSave. 2. Run Malwarebytes Anti-malware for Mac. It will check for updates and download if most recent version is available. 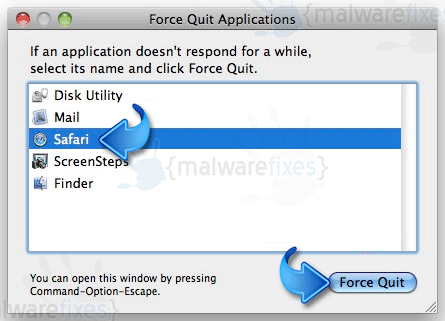 This is necessary in finding recent malware threats including MacAndSave. 5. 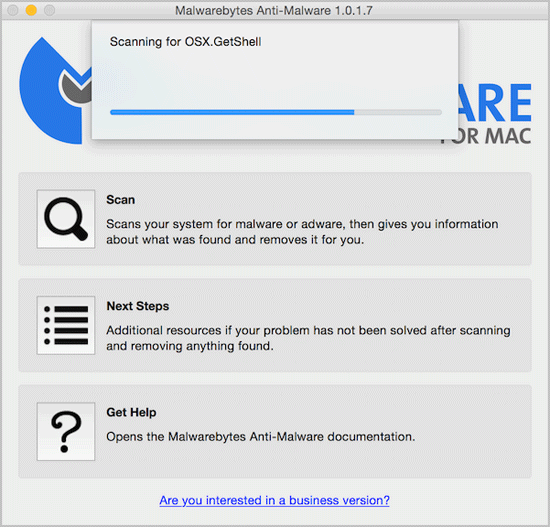 After the scan, Malwarebytes Anti-malware for Mac will display a list of identified threats, MacAndSave is surely part of it. Be sure to select all items in the list. Then, click Remove button to clean the computer. 3. Now, hold down Shift key and launch Safari. Do this to avoid opening any unwanted window from MacAndSave. 7. Click on Search and select the desired search engine from the list to override MacAndSave custom search engine.